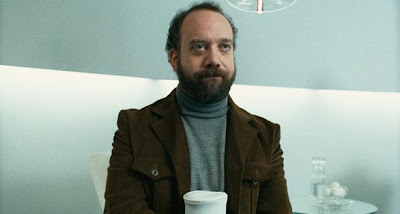 Cold Souls may be an original (and yet frustrating) movie in its own right, but the chief pleasure it offers theatre lovers is a wee glimpse of what Paul Giamatti's Vanya might be like. I hear tell Vanya was his big role back in his Yale Drama days in the early 90's. Now he's the right age for it, and his affinity for the part clearly shows in the movie's extended scenes of his character (and actor named, um, "Paul Giamatti") rehearsing the play. And despite the spin that's put on Chekhov and his performance by the movie's complicated plot, let's just say it's enough to whet at least this playgoer's appetite. So even though we may be suffering from Chekhov fatigue lately in New York after a spate of lame stagings, someone please give this man a stage. And Paul--it's time you came home.